This very well could be the first time we see a North Carolina girl dip under 18 minutes this fall with Sloan Walter (Cardinal Gibbons), Katharine Priu (Cardinal Gibbons) and Madeline Hill (Cuthbertson) battling up front. Walter ran 16:10 last year and will make her debut for the 2018 season. Hill comes in with a PR of 18:16 and ran 18:40 on a tough WNC course and 18:51 at Friday Night Lights taking 2nd overall. Priu was 5th at WNC but has proven to be a stud when healthy with an 18:13 PR from 2016 and a 17:47 PR on the track last year. 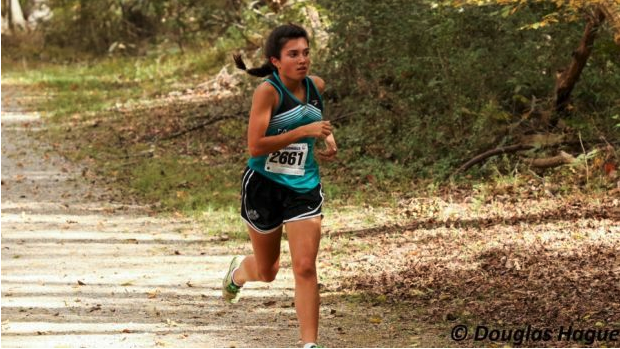 We saw an NC#3 performance last week out of Forestview's Sophia Raspanti running 18:35 at the Shelby Invitational. She'll have her first real test of the 2018 season after a really promising season opener. Katie Pou (Nation Ford, SC) will also contend up front after a 3rd place finish at the Providence Invitational on this course running 19:06. Eliza Broce (West Forsyth) and Jonna Strange (North Iredell) are two we should se up front in the lead pack as well. Broce holds a PR of 18:37 and Strange 18:23 from a year ago. Jette Davidson (EC Glass) will also make the trip down south with a seasons best of 18:48 from Knights Crossing two weeks ago. Leah Helms (Cuthbertson) has been really strong in her first XC season for Cuthbertson after missing her freshman year with an injury. She ran 18:51 at WNC and should be in contention up front after a strong 8th place finish at Friday Night Lights. We'll see four of the states current top 10 programs square off tomorrow in #3 Weddington, #4 Cuthbertson, #7 Green Hope and #8 West Forsyth. Cuthbertson and Weddington should be the big rematch from FNL as the two finished 1st and 2nd with only 11 points in between them. The schools are vastly familiar with each other as they are only around 5 miles apart. West Forsyth and Green Hope were not too far behind at Friday Night lights taking 4th and 5th and will look to battle for the top spot this weekend. Weddington and Cuthbertson's battles are never the same outcome as before as far as team scores go. Last year Cuthbertson had the low sticks while the Warriors had the depth through their 7. The story was the same in their first meeting at Friday Night Lights. West Forsyth had an off day from what I was expecting at Friday Night Lights, and I think they could make it a three team battle up front with a good day tomorrow. #6 Carolina Day are entered, however they weren't listed in the Championship entries which would be a shame. We haven't got to see their full top 7 in a big race yet, and I'd think they'd be pretty dominant in the Invitational section tomorrow. It looks like all of their top girls are listed on the entries for tomorrow. If not in the Championship they'll battle with #12 North Lincoln and #14 Lake Norman Charter for the Invitational title.